Panther Valley is a gated community in Allamuchy Township, New Jersey. 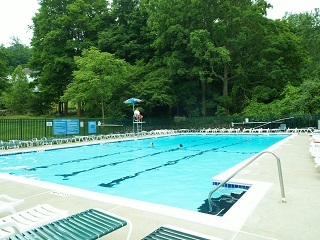 Located close to the I-80, Panther Valley is accessible to a dozen Jersey towns, from Denville to Ft. Lee on the Hudson. Panther Valley is a warm and friendly, family-oriented community with beautiful homes and a superb quality of life. Panther Valley's prime location and easy access to the region’s top parks, nature trails, golf courses and scenic protected areas, make it ideal for a wide variety of home buyers. The colors of the fall season in Panther Valley are truly breathtaking, too. Anyone seeking real estate in North Jersey should pay close attention to this charming community and its great home deals. Panther Valley has on-site amenities such as: three swimming pools, tennis courts, horseshoes, walking trails, two sparkling lakes, and the 18-hole Panther Valley Golf & Country Club which is available by membership only. Homes in this gated community enjoy reasonable prices, superb value and a range of single-family homes in quiet neighborhoods, town homes and new developments to choose from. Panther Valley real estate options also enjoy low interest rates, making home ownership a very affordable and practical option. Panther Valley got it's name from the large population of panthers that roamed the Allamuchy Valley before colonial settlers drove them out by the early 1800s. Their stamp on local lore is still evident in the names of locales like Panther Creek, Panther Hollow and several others. Panther Valley grew into a regional farming and trading town, and retains its small town charm and historic character even today. 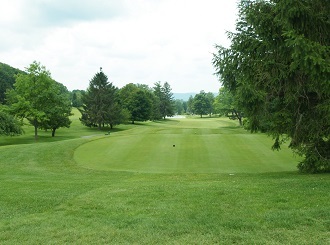 Panther Valley is one of the best places to live in Warren County, boasting safe streets, exceptional schools and easy access to the region’s wealth of parks, historic sites, scenic trails and golf courses. This community is a self contained world of recreational options such as golf, tennis and more. Homes in Panther Valley are also close to sites of interest such as Allamuchy Mountain State Park, Saxton Lake, and Budd Lake. These areas offer a variety of outdoor activities, including fishing, rafting, boating, hiking, biking and camping. Homes for sale in Panther Valley are close to local attractions such as Oxford Lake, the Panther Valley Golf and Country Club, Morristown National Historical Park, and a wealth of other historical landmarks. Mt. Olive, Hackettsown and Budd Lake are also nearby. Anyone itching for a big city getaway can hop on the I-80 east to the New Jersey Turnpike, and take the 51 mile jaunt to New York City. The local calendar has that small town sense of community and old fashioned charm. Traditional events in the Panther Valley region include the popular Antique and Classic Boat Show in Mount Arlington, the Midsommar Fest in Budd Lake, the Concert on the Green series in Somerville and many more throughout the year. 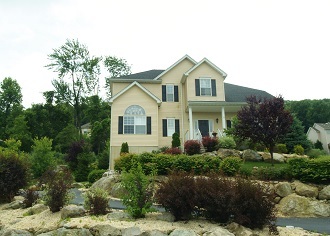 Panther Valley homes for sale and Panther Valley properties offer some of the best prices, value and quality in North Jersey. Those interested in becoming a Panther Valley home buyer should call Maryann Johnson, 201-964-6451, as soon as possible for the best deals deals in this quiet, friendly little town.